We are an independent local charity providing therapy, support, information and advice to those with MS. Although we are part of a national network of centres, we are entirely funded through donations. The Centre costs in excess of £50,000 a year to run. 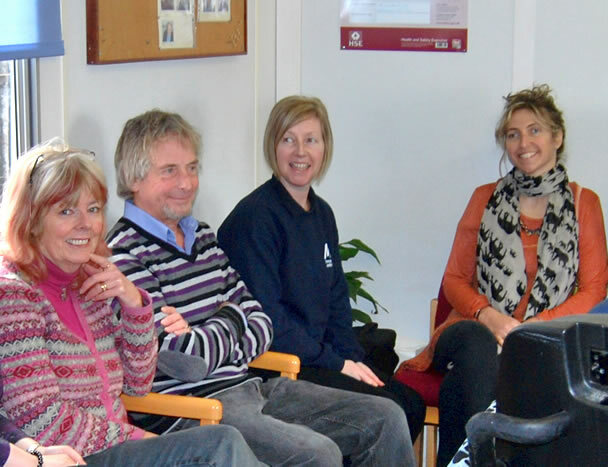 We operate on a membership basis – people of all ages who have MS, their carers, other conditions are welcome as members. A small annual membership donation gives you access to all the centre facilities. Download our information leaflet here. Once a member, you may book as many therapy sessions as you require. The therapies we offer are provided by fully qualified professionals engaged by the Centre. Members are invited to make a voluntary contribution for each therapy treatment received. If you are in a position to donate a little more than the current minimum level recommended by the Trustees, it would be very much appreciated. It is the duty of the Trustees to ensure the continued secure operation of the Centre for its membership. To this end the subscription and the minimum level of voluntary contribution for treatment will be maintained at the lowest sensible rates recognising prudent management and the range of services provided. Can I have a trial run? Yes! You are welcome to come and visit the centre, and even benefit from a therapy session before deciding whether or not to become a member. We look forward to meeting you! Call today on 01235 832023. In brief…a lot less than the equivalent therapies would normally cost privately! Membership costs £12 per year (£24 for non-MS members). This gives you access to the centre and all its facilities. We then ask for a voluntary contribution for each therapy session.